ASPIRE55 - Asia's First Virtual Retirement Village - ASPIRE55 Lunch-hour Talk: "Let's Talk about Diabetes and Novel Ways to Supercharge your Health!" ASPIRE55 Lunch-hour Talk: "Let's Talk about Diabetes and Novel Ways to Supercharge your Health!" Novel Ways to Supercharge your Health!" An entertaining, informative and potentially life transforming short session not to be missed! 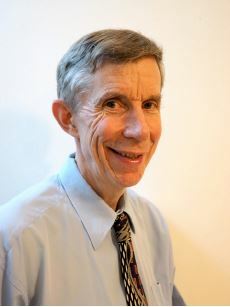 Charles Barton has been a qualified Naturopath since 1997. Since then, he has helped many individuals achieve their ideal health through proper nutrition and natural, healthy and holistic treatment methods. He has worked in England, Australia, Africa, North America and Asia focusing a great deal on educating people. After completing his three years of training as a Naturopath from Australia he has added on countless modalities such as Shiatsu massage, nutritional expertise, Neuro Linguistic Programming and more. He is also an experienced ‘secular’ meditation instructor. In recent years he has focused a great deal on helping clients with diabetes, obesity and other health challenges, all the therapies he has designed to prevent and improve the quality of people’s lives. His driving passion is to add years of healthy living to people’s lives and help them attain an ideal lifestyle whatever age they are. RSVP early to avoid disappointment!